Established in 1949, Graphtec’s corporate philosophy emphasizes the pride every member takes in the company’s products. The pride comes through at all stages, from preliminary planning and design to final delivery. This commitment does not stop at the factory door. It extends to services and customer-support personnel around the world, because Graphtec never forgets what is at stake every time you choose one of its products. Graphtec proudly acknowledges its standing as a world leader in cutting and measuring device technology and is committed to further enhancing its competitive strengths, product features, performance, and drive for excellence. Graphtec America Inc. located at the heart of Southern California, 17462 Armstrong Ave in Irvine, California, near John Wayne International Airport. Our office/warehouse space is a 44,000 square feet. 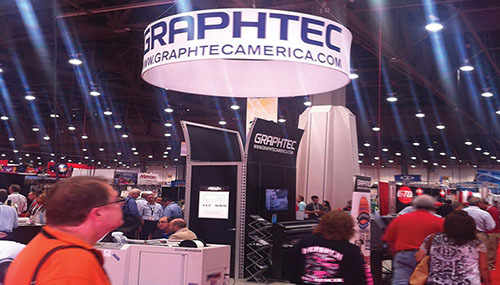 Graphtec America, Inc. is a wholly owned subsidiary of Graphtec Corporation in Yokohama, Japan. 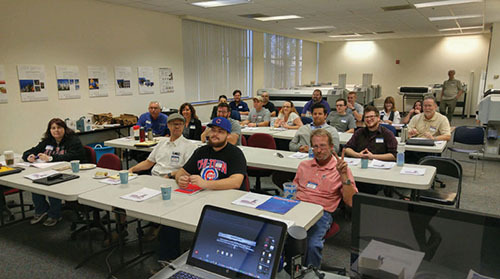 Graphtec produces vinyl cutters, color label printers, scanners, intelligent recording instruments, and data acquisition systems. Recognized as a technological leader, Graphtec has engineering, manufacturing, distribution, and service operations in Japan and the United States of America. In addition, Graphtec products are sold and serviced via business partners and distributors worldwide. Graphtec Corporation entered the plotter market more than 30 years ago with the introduction of the first intelligent, low cost small format plotter in Japan. 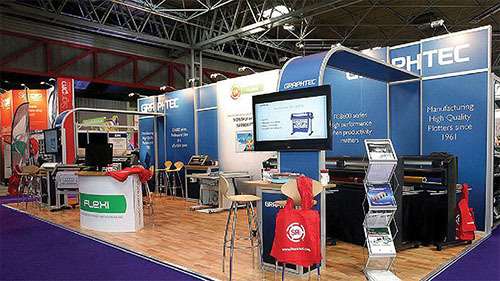 In response to the world-wide demands from the fast growing CAD industry, by the mid 80’s Graphtec had developed a strong and competitive range of pen plotters and digitisers. The company soon became one of the world’s substantial players, growing and expanding year by year. Toward the end of the 1980’s, Graphtec extended its range by adapting the conventional pen plotter; replacing the pen with a cutting blade to create the cutting plotter familiar to today’s sign makers. Our scanner products are the first large-format color scanner in the world which was registered with "International Energy Star Program" and complied with "Act on Promoting Green Purchasing" as well. We are working aggressively to improve and develop the eco friendly product such as paperless recorders and data loggers, in order to spread them to the world. Graphtec Corporation provides a special inspection service to a customer in the disaster area which is to check whether there is a serious problem in the equipment or not. As a part of activities for Environmental Conservation, Graphtec Corporation provides the collection/recycling service for the above items. International Standard on quality assurance and quality management. We will expand our quality management activity to improve the customer satisfaction in our products & services. suppliers, we provide the products that realize the environmental load reduction. For a long time since establishment, Graphtec has been striving to provide services and commodities that satisfy many users, with instruments and industrial-use computer peripherals as our main business commodities in niche industries. and the large color copier systems in the computer peripheral business. Besides, as a new business for future, Graphtec will strive to expand our business domain added to the small cutting solution as our first consumer business, the label printer business for professional use and the metal detector. All of the employees of Graphtec recognize the corporate philosophy "Reliability and sincerity – that’s where it all begins, Creating value recognized by the people and society.". In order to react large changes in market needs immediately, Graphtec will build up closer relationship with customers, and provide business models that satisfy customers. Graphtec will endeavor to prosper to become a company earning more trust in the future. We will appreciate your continuous patronage and support in the future. 2011 - Paradigm Imaging Group has announced that the Graphtec CSX300 has won Wide-Format Imaging’s 2011 Top Product Award for the second consecutive year.